New Panasonic Lumix GX7 Looks Sweet! Thread: New Panasonic Lumix GX7 Looks Sweet! It seems like Panasonic hasn't been paying that much attention to serious photographers lately. Not with their Micro Four Thirds cameras, anyway. But the new GX7, announced, today, looks really nice. I think they noticed how much attention the Fujifilm X-Series cameras were getting and they decided they wanted a piece. I'm really curious about the image quality. On paper it looks like it's much better. But how does it compare to the competition? I don't think it can compete with the Fujifilm and Sony APS-C sensors. But it could be a very serious competitor for the Olympus E-P5, a camera I'm really interested in. 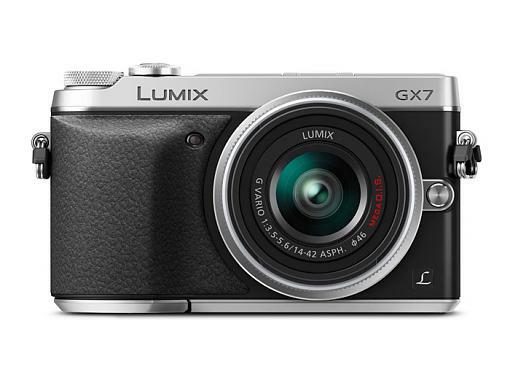 Re: New Panasonic Lumix GX7 Looks Sweet! I've just received my GX7 today and so far I am very impressed with it. My other camera is a G6 which I also really like but what I find really good on the GX7 is how ell it performs in lower light. So far I have used it at up to 26,500 ISO and the images are still quite acceptable. On my G6 the noise was bad at 800 ISO. The onboard OIS is also good to have when using legacy lens and Olympus lens which do not have inbuilt stabilization. Hello, would anyone know if there is any compact system camera (interchangeable lenses) that has an input for trigger release (wired)? thanks for the help! Our fantastic offers for free comptia security+ dumps and sas certification study guides prepare you well for the final exam and 70-450 papers with great success of mcts 70-432. Mirrorless is taking the place of the DSLR for the average person.???? the weight and size of the mirrorless camera is lighter than DSLR cameras. audio and video clarity are same as dslr. only few things are lower than the dslr like battery life.,so my thought is mirrorless is taking the place of DSLR cameras.